Designing a simple space station model is a great way to provide kids with a hands-on understanding of recent developments in NASA and international space research. It combines elements of building, drawing and imagination, allows for both play and learning, and will inspire further curiosity about astronomy and science. Place a large sheet of paper on a clear floor or desk. 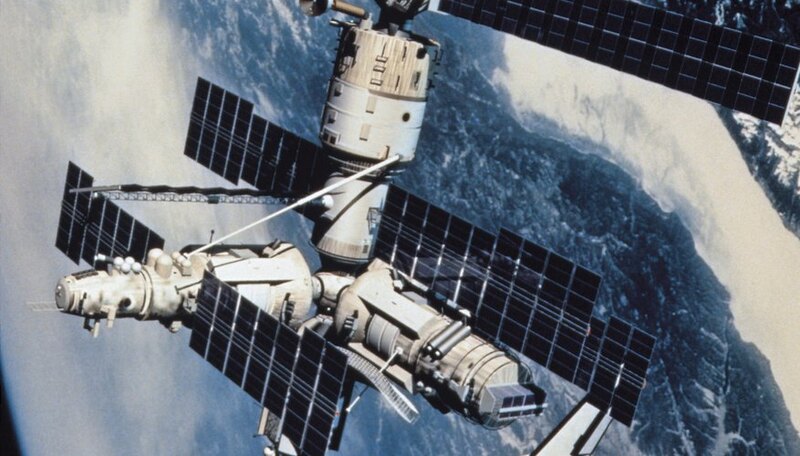 Place near it several images of the International Space Station found in a science book or on the Internet. Discuss the various features and parts with students. Show them the materials available and their relation to the component parts. Shoe and other cardboard boxes will represent the main sections of the station, foil and flat sheets of cardboard for solar panels, and thin paper craft tubes for the joining sections. Join three rectangular boxes with various sizes of paper tubes. You can use mailing tubes brought in by students or purchased at a craft store. These will serve as traveling corridors for the astronauts. Attach them using colored vinyl tape. Cut four pieces of cardboard to an equal rectangular length and wrap them with foil paper to begin making the solar panels. Using smaller paper tubes, attach these to one of the boxes so that they are evenly spaced. Select a side for a docking station. Attach a tube that juts out to the side. For extra detail, draw a simple image of a space shuttle on a smaller box, which can dock and depart from this tube. Cut a pencil-size hole into a side of one of the station sections. Insert a twisty straw and fold the end down so it can be taped to the inside of the box. Draw a small astronaut on a piece of paper. Cut out the astronaut and attach him to the other end of the straw. Marcel Dedalus has been a freelance writer of articles, essays and modernist fictions for more than four years. He studied Japanese and European history at the University of Iowa while participating in various writing workshops. Dedalus holds a Bachelor of Arts in history and has worked in bookshops on the East and West Coast.